There are many reasons why ExpressVPN is considered one of the top VPN (virtual private network) providers out there. One of them is the fact that it has over 2,000 servers in 148 locations across 94 countries. Furthermore, it’s based in the British Virgin Islands, a territory without data retention laws, and ExpressVPN promises it doesn’t maintain activity and connection logs on its users. The service is also very easy to use and covers multiple platforms including Windows, Mac, Linux, Android, and iOS. 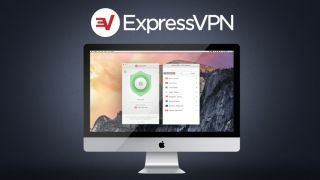 This step-by-step guide will show you how to sign up for the ExpressVPN service. Locate and open your favorite web browser and navigate to the ExpressVPN website. Alternatively, you can click the Get Started button in the top-right corner of the homepage. Whichever you choose, you will land on the same signup page. Select which subscription plan you want: a one-month, six-month, or 15-month subscription. Enter your email address in the provided field, just below the sentence explaining that ExpressVPN will not share your information with anyone and will only contact you as needed to provide the service. Next you must pay for your ExpressVPN subscription. There are numerous payment methods available: credit card, PayPal, Bitcoin, and more (AliPay, UnionPay, SoFort, WebMoney, GiroPay, OneCard, etc). Depending on which method you chose, fill in the necessary details (if needed), and click the green button confirming your choice, or directing you to the website for the specific payment method you selected. Once your payment has been processed, you will be asked to set up a password. ExpressVPN will offer a system-generated password which you can accept, or you can ignore this and choose your own password. Once you’ve set up your password, you will be taken to a page with an activation code from which you can also download the ExpressVPN app for whichever platform or device you need – ranging from Windows and Apple TV through to PlayStation consoles and routers. ExpressVPN can be used on three devices simultaneously. You will also receive an email welcoming you to ExpressVPN, providing details about your subscription. You can click the link in the email to download your ExpressVPN app, if you haven’t already done so. Make sure you copy the activation code by clicking the little ‘copy’ icon in the top-right corner of the blue activation code field. Once you’ve downloaded the app, double-click on it to open and begin the installation, then follow the provided instructions. After the installation process has been completed, you will be asked to enter the activation code provided during signup. Paste the code into the provided field. Did you forget to copy the code? Don’t worry, ExpressVPN has you covered. Just click the phrase activation code (in blue letters) and you will be taken to a page explaining what to do. Once you’ve entered the activation code and clicked the Sign In button, you can begin using your ExpressVPN app.